Jeremy McConnell jailed for 18 weeks after flying to Turkey! Jeremy McConnell has been jailed for 18 weeks after skipping community service. CBB couple Jeremy McConnell confirms SPLIT from Stephanie Davis! Celebrity Big Brother 2016 couple Jeremy McConnell and Stephanie Davis have split up because of 'pressure'. Celebrity Big Brother 2016: Have Stephanie Davis and Jeremy McConnell split up?! Rumours have started to evolve that Celebrity Big Brother 2016 love birds Stephanie and Jeremy have already split up. Celebrity Big Brother 2016: Jeremy McConnell tells Sam Reece: ‘She found something better’! 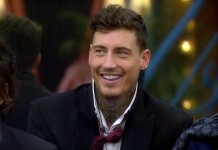 Evicted Celebrity Big Brother housemate Jeremy McConnell has hit out at Stephanie's boyfriend Sam Reece. 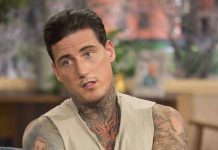 Celebrity Big Brother 2016: Jeremy McConnell has been evicted! 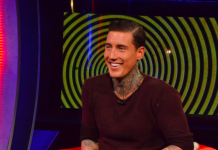 Jeremy McConnell is the sixth housemate to be evicted from the Celebrity Big Brother 2016 house. Celebrity Big Brother 2016: Stephanie is angry with Jeremy for kissing Tiffany! Stephanie Davis is fuming once again after Jeremy McConnell kissed Tiffany Pollard in the Celebrity Big Brother house last night. Celebrity Big Brother 2016: Jeremy McConnell told a huge lie to producers (and viewers)! Jeremy McConnell told a huge lie to secure a place on Celebrity Big Brother 2016 - His secret is now exposed.